If this is the winner, I’d hate to see what they did with the losers. 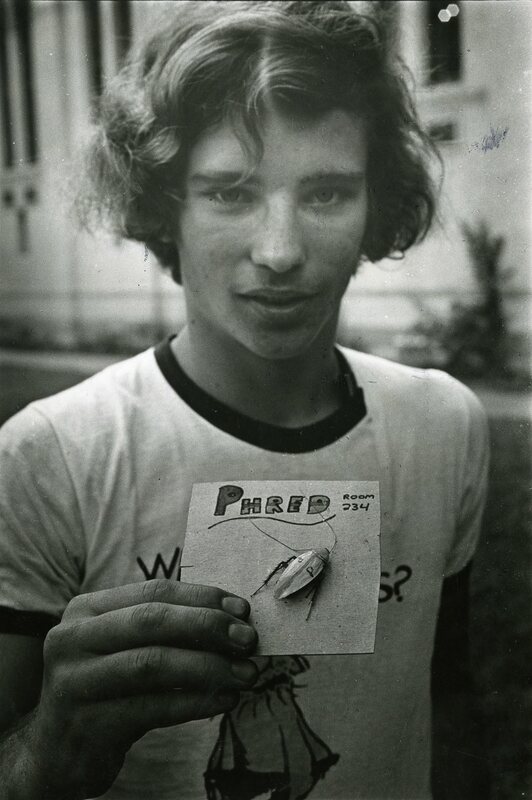 On page 11 of the Sept. 12, 1974, Thresher is an article by Howard Laidlaw announcing “The First Annual Baker Cockroach Competition,” to be held at 4 p.m. September 14 next to Sewall Hall. There were three competition divisions: fastest, largest (length x width) and best decorated. In the latter two divisions, dead (but not “disfigured” or squished) roaches were permitted. and Dave Pearson on a diet of Fig Newtons, bolted away from 14 other roaches in the speed contest — first to exit a 6-foot diameter circle, starting at the middle — winning by a foot. The article contains three uncaptioned photos different from the one shown above.